I don’t do many recipes with canned soups in them. However, this is one of those that I do use it in. 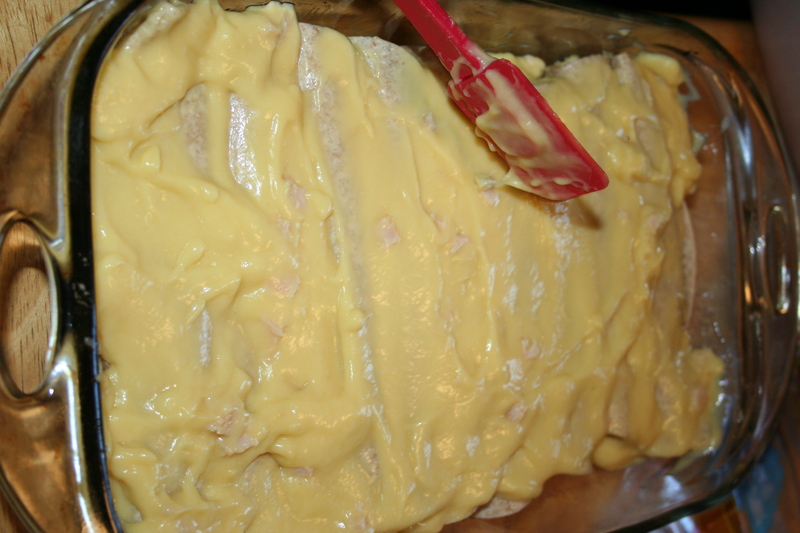 I know I could make my own condensed “cream of chicken soup” but I choose not to for this recipe. I guess I just like it being an easier recipe to make. Opening up 2-3 cans of soup is easier than making a rue and adding milk and broth to it. If you have a pound of chicken already cooked, this recipe is even easier. 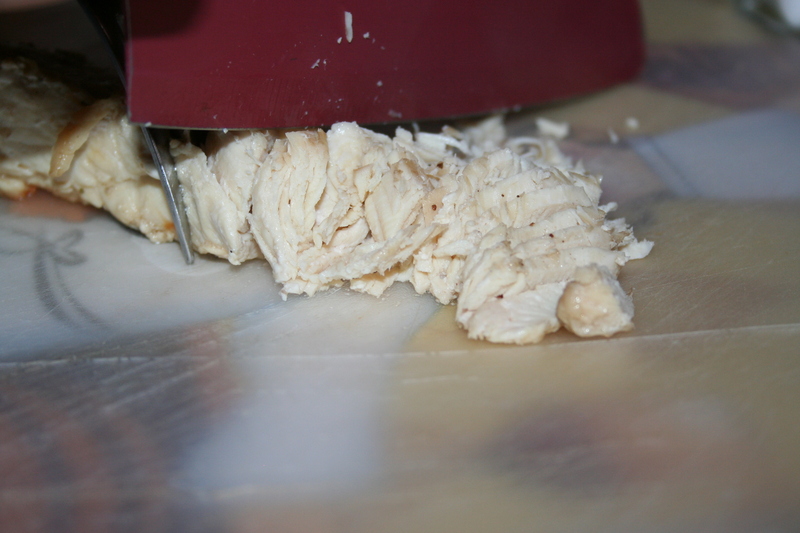 Shred or chop the cooked chicken. Combine it with one and a half cans of cream of chicken soup. 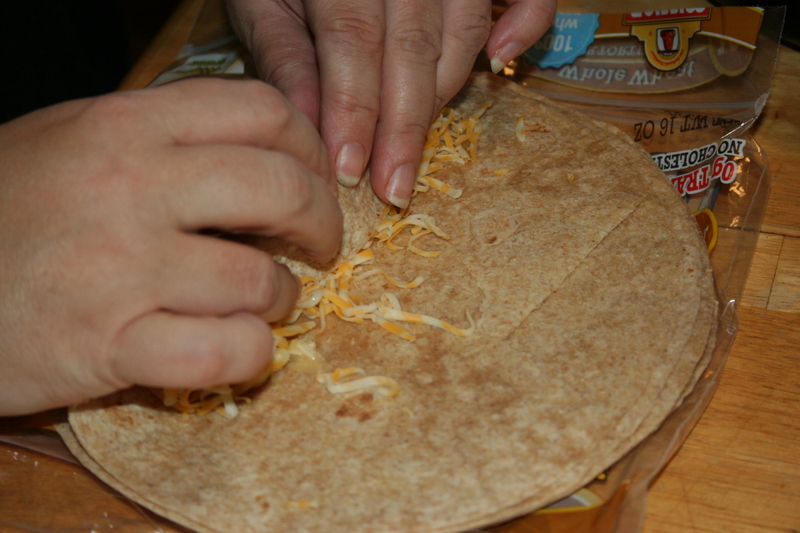 Spread a little near the edge of the tortilla with a little bit of cheese. 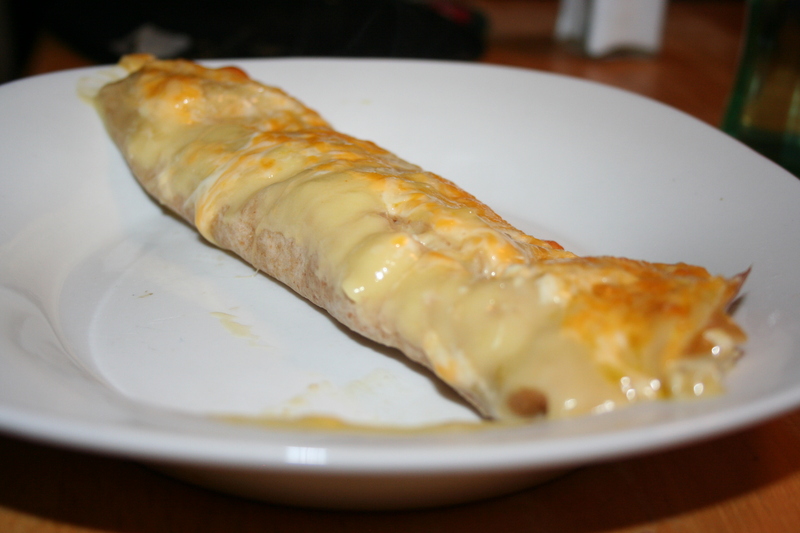 Then I remembered that doing it this way uses more cheese. 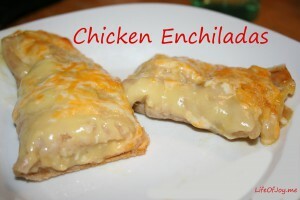 So I mixed half the cheese with the chicken and soup mixture and continued filling tortillas. 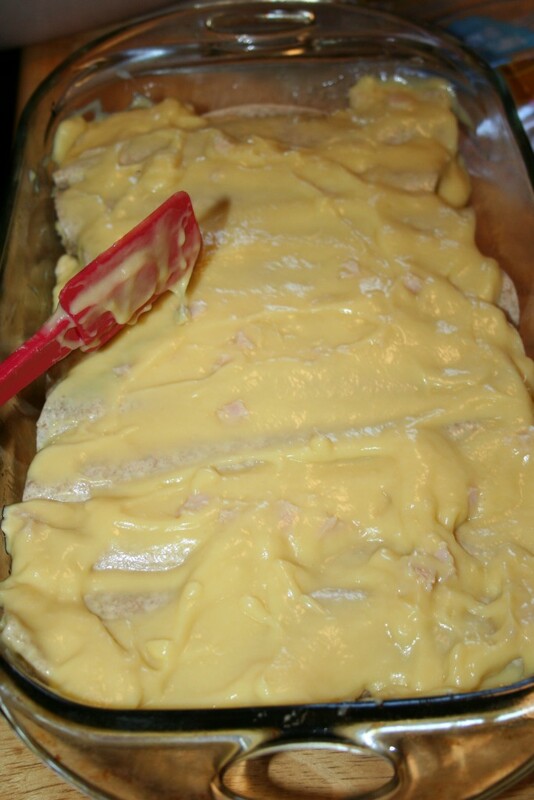 Place in a grease pan. 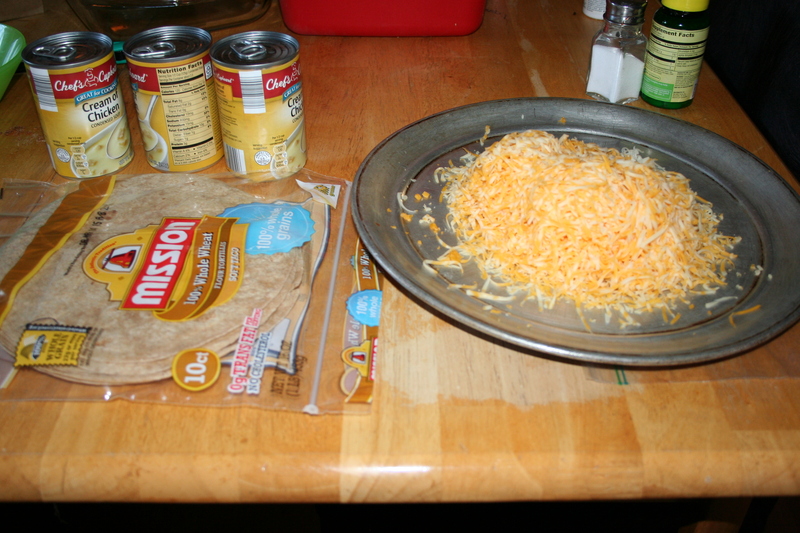 Spread the remaining can and a half of cream of chicken soup over the tortillas. 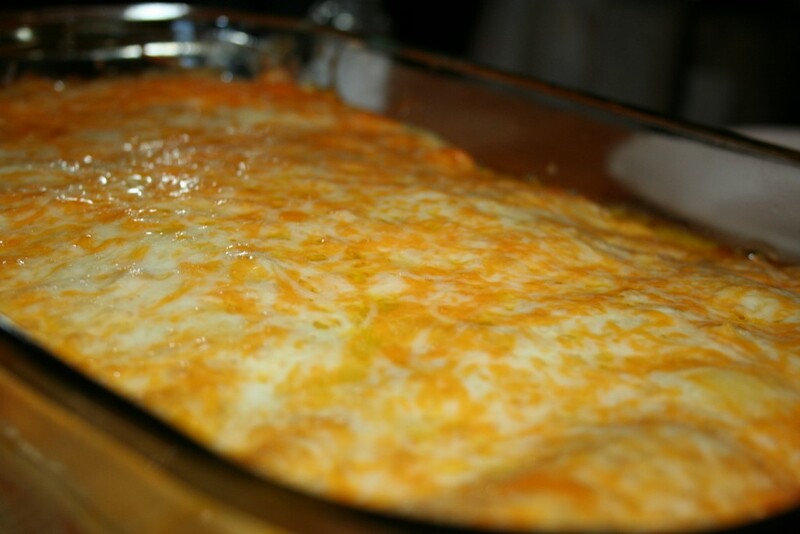 Sprinkle the remaining 4 ounces of cheese on top. After getting this all put together I also realized that I usually make these for all of my family, so I usually use 1½ pounds of chicken instead of just one pound. This is why I usually use 3 cans of cream of chicken soup. 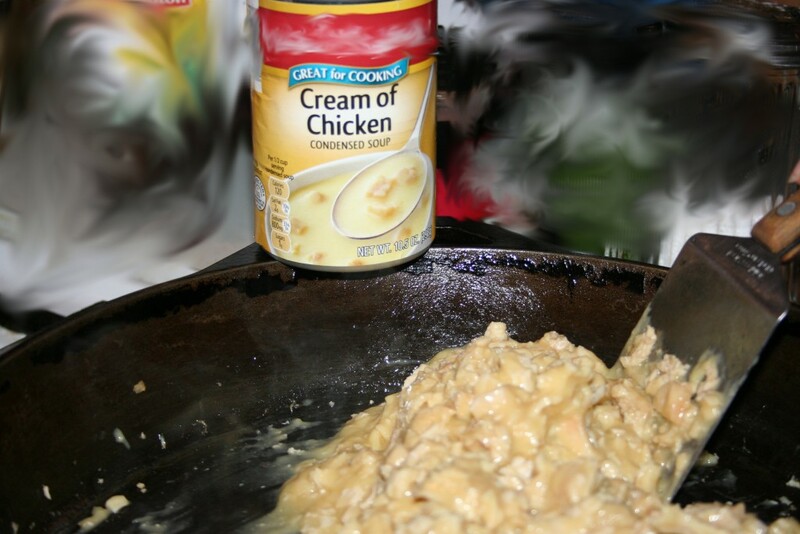 This night I was only fixing dinner for four and used one pound of chicken and thus I should have only used 2 cans of soup. Thus mine will look creamier than yours. Trust me; three cans is too much – still yummy but too much. Stick with 2 cans for 1 pound of chicken. 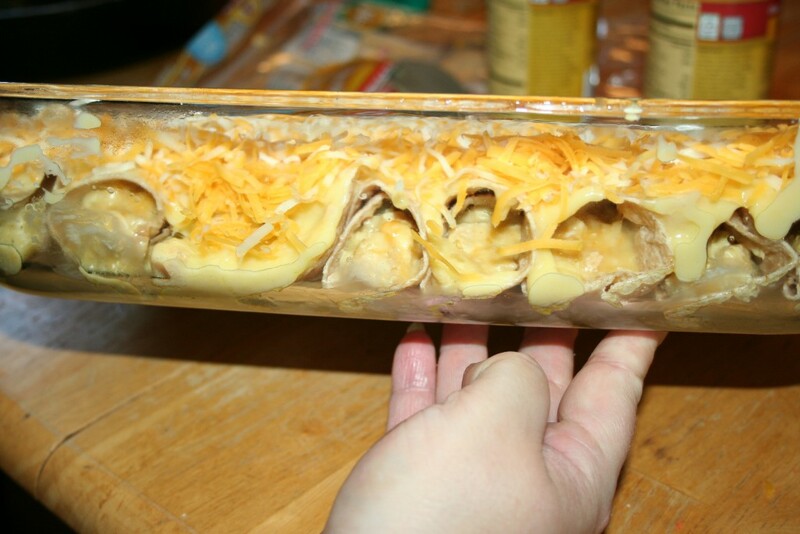 I got 9 enchiladas out of this but usually only get 8 per pound. 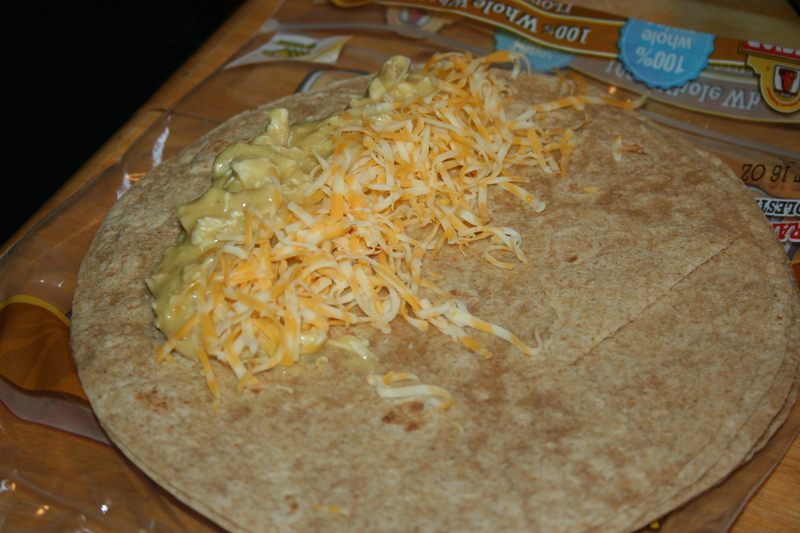 As you can see, it is a bit difficult to find where each tortilla ends and begins. Just dish it out from the end with a wide spatula and enjoy. Add one can of soup. 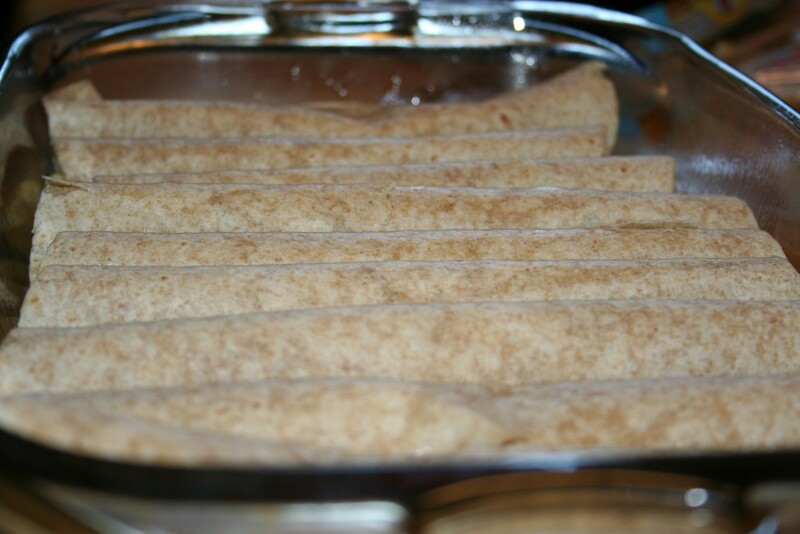 Spread 1/8 of the mixture onto each tortilla and roll up. Bake in 350º oven until cheese is completely melted and bubbly and enchiladas are heated through.